Travelling to the RedBull AirRace in Budapest is a great experience. Especially, if you fly there on your own. Christian got some “behind the scenes” tickets with a tour to the pilots camp. 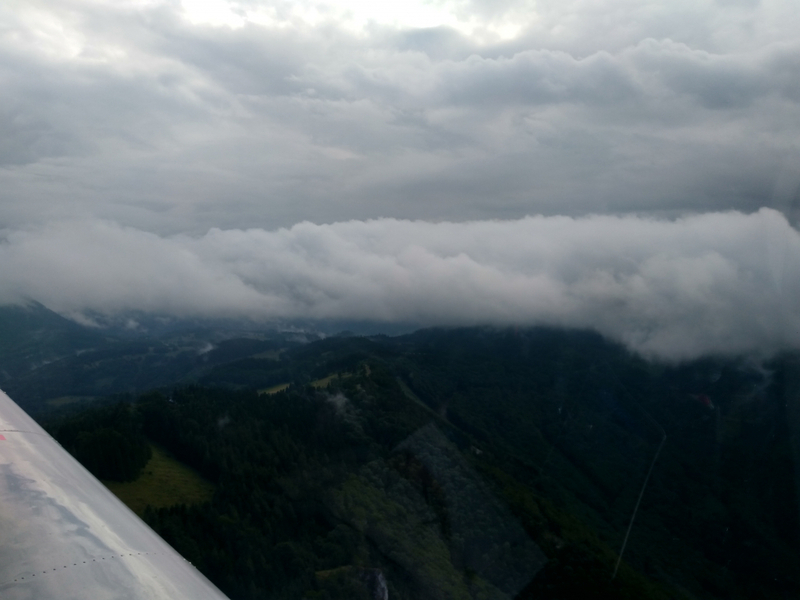 The weather forecast was fine for Saturday and Sunday with some probability of showers on Sunday afternoon in the eastern Alps. We had an easy two hour trip in Christians TB20 from southern Germany to Budapest. Great views of the Alps, the Lake Neusiedel and Hungary. The airport of Budaörs is just 10 minutes away from downtown Budapest. It is the destination of our flight. While we were paying the landing fee on the tower, we could get a first glimpse of the AirRace Competition. It was a training day and we could hear and see the racers flying low level, looking out of the tower towards Downtown Budapest. The show was great on Saturday, with the qualifying races and the airshow. On Sunday we took the ferry boat across the Danube river. And a little bit later the bus departed for the “behind the scenes” tour, which was sponsored by AirBP. A 30 minutes transfer and we accessed the airport of Tököl, a former military base which was in use as paddock for the AirRace. We had deep discussions with some of the pilots and mechanics. During the ongoing race, we had great fun with the advantage of knowing more about the details of the AirRace due to the tour. Later, we had to leave the right bank of the Danube river due to closings times of our destination airport. 15 minutes search for a taxi and 10 minutes driving time later, we unleashed the plane and prepared for going home. 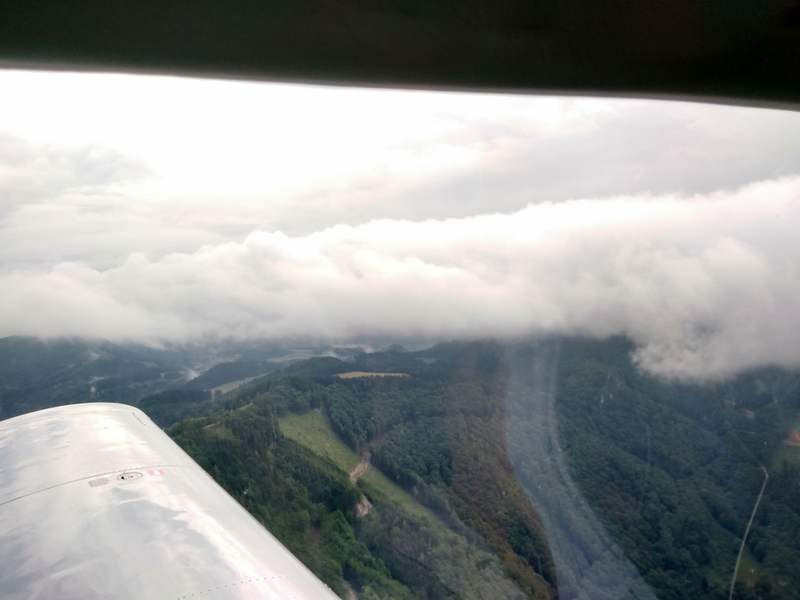 On our way around the arising Alps, TopMetSat was very helpful. 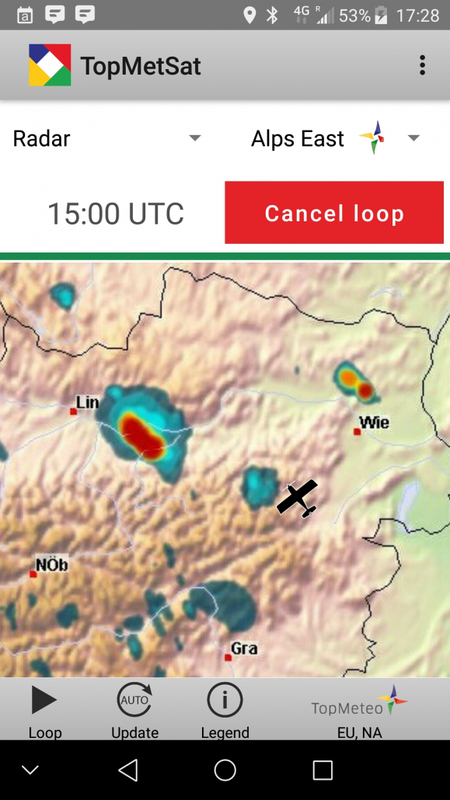 A small shower at the first hills east of Vienna led to a small deviation. Mean was, that the hills were covered in clouds. 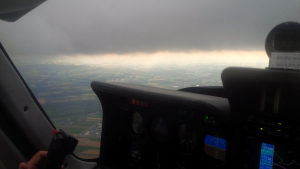 A little bit later, we also had to aviate around a thunderstorm east of Linz. 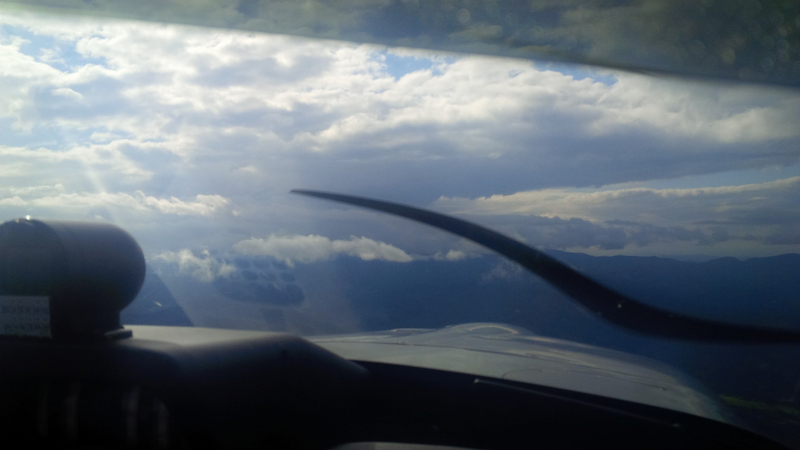 But it was a well developed CB with a sharp cloud base.